"But there is a spirit in man, and the breath of the Almighty gives him understanding." The Apostle Paul tells us that our generation had been given the revelation of a mystery that had been hidden for generations. This is the mystery of Christ—how the Son emptied himself of glory and was crucified by his own creation so mankind could be redeemed. Modern Christianity has lost its soul and has turned the revelation into a form of powerless godliness, catering to the whims of those searching for their own self-actualization. 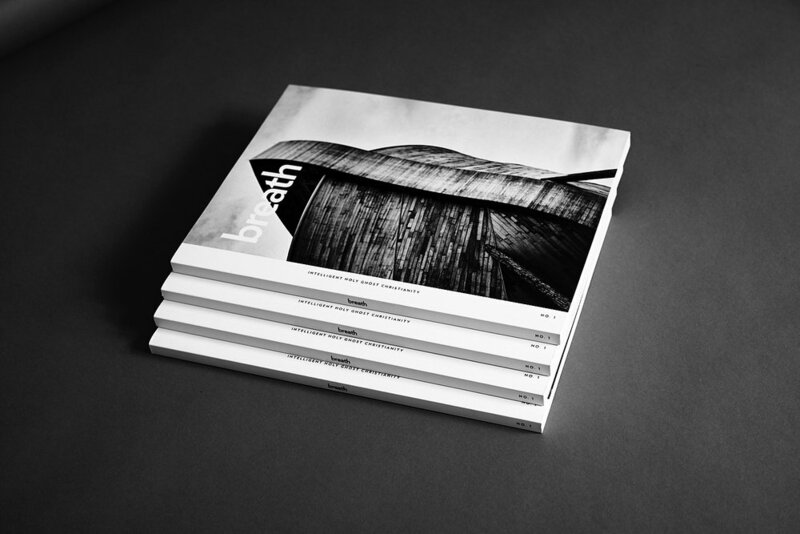 Breath is a daring, independent magazine focused on challenging the modern Christian mind. It is aimed to both inspire and inform believers in the faith that was once and for all delivered to the saints. Crafted as printed piece, you will want to keep it on your shelves for years as you increasingly appreciate of the depths of the Father’s remarkable plan of redemption you find in its pages. Breath is structured in three separate sections—Revelations, Culture, and Conversations. Each issue contains original content and photography exclusive to Breath. But these things have been written so that you might believe that Jesus is the Christ, the son of God, and that believing, you might have life in his name. Breath is the brainchild of Peter Smythe. Dissatisfied with the current crop of Christian magazines, Peter and his team have set out to create a truly original periodical. We don’t accept advertising. Ruth Jamieson, the author of Print is Dead. Long Live Print, sums up our reasons why. To truly understand the demise of print, we need to understand who its real customers are. Traditionally, magazines don’t make their money from the cover price — that’s just there to heighten the perceived value of the magazine. Magazines make their real money from selling advertising; to put it another way, they sell brands access to their readership. The magazine is not the product for sale — its readers are. The unspoken agreement between the publishes and the reader is that the readers get cheap content in return for looking at some adverts. Meanwhile, advertisers get access to readers in return for funding the magazine. The upshot of this is that even if a magazine maintains its readership, if advertisers can reach that readership somewhere else, somewhere cheaper, more direct and more measurable — like, say, online — then the magazine is in trouble. Digital attacks traditional magazines on two fronts: it erodes their readership and tempts away their advertisers. This double threat invariably reduces revenue, which lowers budgets, which has an impact on quality, making it ever harder for mags to compete. Round and round this vicious cycle they go, until serious-looking people in suits arrive on the editorial floor and tell everyone to pack up and go home. Really, the only way things could be worse for print magazines would be if the internet were also locking up journalists and closing down paper mills. For several years the name of the game has been to give your hard work away for free in exchange for “exposure” or “influence.” But we’ve seen many independent magazine close their doors even though some had tens of thousands of social-media followers. After a lot of hard thinking, we decided that we would focus our efforts on believers who had invested in our work instead chasing after social-media followers. The Lord has called us to faithfulness, not popularity. You might see a photograph or two on social media here and there, but the real work is here, building up believers through our print magazine, scheduled events, and web presence. It’s not a well-worn path, but it’s the one we’re taking.